For the past few years, I have been picking a word of the year like so many others. I don’t always reference my word throughout the year like I do, but it does give me the mindset to start a new year on a positive note. This year, I picked my word on New Year’s Eve. Normally, I have it picked out by mid-December but this time I was way too pre-occupied by caring for my family. December of 2018 was quite rocky and the events are actually what led me to my word for 2019. It came to me at the last minute. 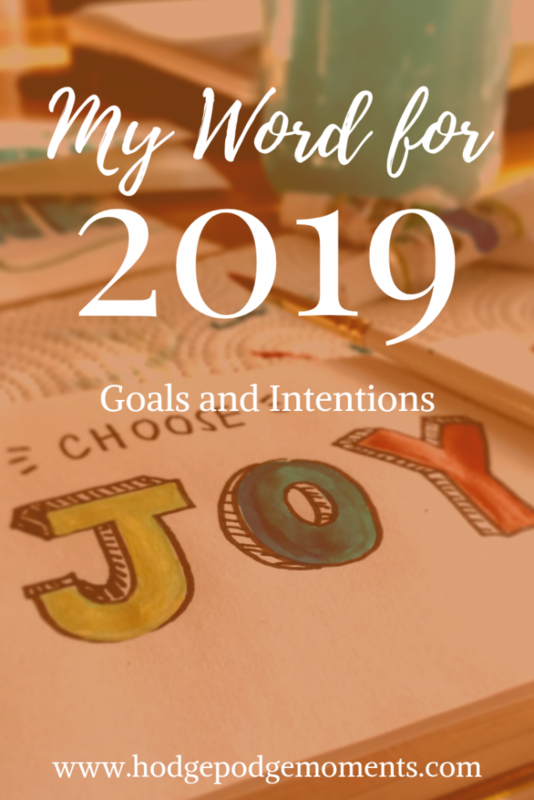 My word for 2019 is JOY. I played around with several others but they all went out the window when joy popped into my head during a shower. I do my best thinking and brainstorming in the shower so I knew that joy was meant to be my word. Essentially, I want my decisions in 2019 to be made with joy in mind. If it doesn’t bring joy into my life somehow, then I don’t want it around. I’m prepared to declutter the bad and say no to the things that aren’t important. Life is short and I want to choose joy in 2019. 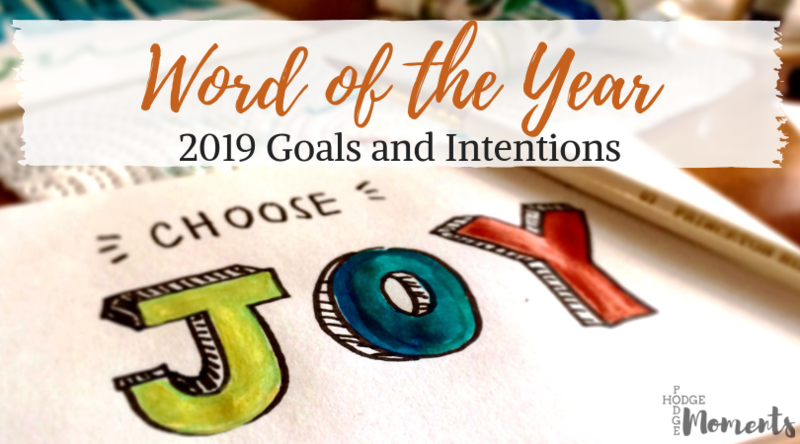 While picking a word of the year is important, I feel that goals are more important. After reflecting on my goals from past years, I have decided to keep things super simple this year with one major goal for each area of life. I’ll make smaller goals throughout the year that will put me on the path to achieving my big goals. I decided to keep my goals simple for 2019. I want to focus on healthy habits this year. With two little ones in the house, I want to make sure that I’m setting an example in the health department. This includes healthy eating, regular exercise, and self care. There’s a good chance we’ll be moving in summer 2020. We have a nice big basement that is perfect for storing things. This means that we’ve accumulated more than we should. My focus for the house this year is to prepare it for our move, which includes downsizing our belongings. Family has always been important to me. We spend a lot of time making memories together. This year, I want to focus on our extended family. As a military family, we live quite the distance from our extended family. This year, I want to increase communication with our families through snail mail and video chats. Making friends is hard. Making friends as a mom is even harder. This year, I’m challenging myself to make more friends. This means continuing to go to MOPS meetings, attending the girls night out events, and hosting a few play dates. Basically, I need to step out of my comfort zone and put myself out there a little more. My career is technically on hold since I have chosen to stay at home with my kids. I am working towards earning more money from home. My plan is to turn Little Learning Moments into a bit of a business and maintain Hodge Podge Moments as a mom lifestyle blog. This year, I want to put my needs first a bit more. As a mom, it’s hard to do that but I’m working on it. One major thing I’m working on is realizing that it’s okay to ask for breaks and help along the way. A happy mom is a better mom in the end. I’m excited to see what 2019 has in store. Hopefully, it will be a year filled with joy. Do you pick a word of the year? I’d love to hear about it in the comments below!